Does the beauty of nature matter to you? Are you inspired or sustained by the rural landscape and abundant natural resources that characterize Pike County, Pennsylvania? If clean water, fresh air, healthy habitat, protected wild lands, outdoor recreational opportunities, a tourism-based economy and thriving local farms are important to you, there is still time to share your opinion. Since spring 2017, the Delaware Highlands Conservancy has been conducting an online survey to seek public input regarding the future of conservation in Pike County. The survey period is drawing to a close and we’d love your feedback before that happens. The Scenic Rural Character Preservation program emerged in 2006 as a means of maintaining the county’s high quality of life through smart planning and active conservation geared toward balanced solutions to increasing population pressures. Its inception followed passage—with more than 68% support—of a 2005 referendum that dedicated up to $10-million over 10 years to preserve and protect Pike County’s valuable natural resources. 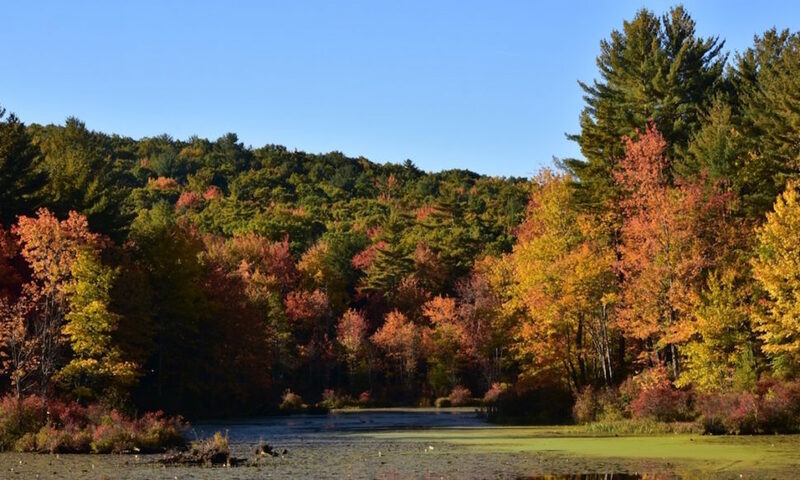 In the decade that has transpired, the Scenic Rural Character Preservation program has protected more than 3,500 acres of critical open space providing watershed and habitat protection, established outdoor recreational opportunities such as parks and trails, and funded a variety of municipal planning projects. The initial SRCP program was limited to a period of 10 years. That time frame has now passed. To help maintain the high quality of life that we all enjoy in Pike County, we’d like to hear what you think about continuing local conservation, planning and land protection efforts. Please take this final opportunity to complete the brief survey before it concludes on Friday, September 22. Thank you for taking the time to share your thoughts on Pike County’s future!